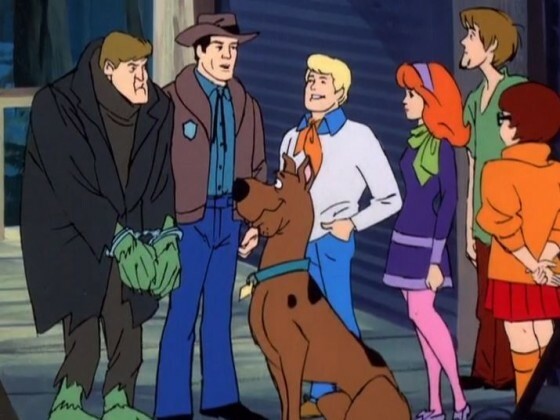 ANYONE who like me grew up in the ’70s and ’80s will remember the phrase, “if it wasn’t for those meddling kids!” It was the line always delivered by the snarling baddy at the end of Scooby Doo, to highlight how they would have got away with it if Scooby and the gang hadn’t been on their tail. Well that line’s been popping into my head more and more lately. The attacks on Jeremy Corbyn supporters, often veiled by patronising remarks, have that familiar ring to it. To some in the Parliamentary Labour Party (PLP), we are those meddling kids. 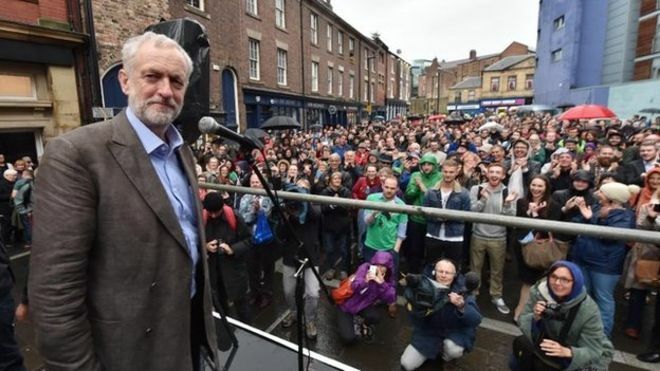 If we hadn’t rallied to urge an anti-austerity candidate to stand, if we hadn’t petitioned, badgered, and outright begged MPs to nominate Corbyn, if we hadn’t got so fired up by his vision for a more equal, peaceful and ecologically sound Britain, none of this would be happening. It would be business as usual, with three candidates clustering round the uninspiring centre and no candidate to remind people there is an alternative. And those PLP members are right. We, the grassroots, have steered the leadership election in the direction it’s heading in. We have fought for what we knew to be right, even when those at the top of the party we love chided us for being petulant children, suffering emotional spasms in the wake of May’s election defeat. We are the same “meddling kids” who have packed out halls up and down this country — and often the street outside — to listen, as Jeremy Corbyn painted a picture of a country we want to live in. A country where our children have a shot at decent housing and work, a country where the deficit is cleared, yes, but not on the backs of the vulnerable, poor and disabled, a country where people come before profit, and military intervention is genuinely considered to be a last resort. And we are the same “meddling kids” who’ll be the foot soldiers of the Labour Party under Jeremy Corbyn’s leadership, letting our passion and drive galvanise us to organise the biggest registration drive this country has ever seen. And that will just be the start. We are a movement now: a great body of people from all walks of life, with shared values and a common goal. We will all be fighting to make sure Labour wins in 2020. So who are these meddling kids? What kinds of people are they? Let me tell you about two members of my own family who help make up this number. You have my mum. She’s aged 73. She owns her own house — the council house I grew up in — which she bought when my dad passed away 22 years ago. She’s grateful to have no mortgage and a secure home, but sad that my children won’t enjoy the same. She has signed up to Labour to vote for Corbyn, saying: “I’ve not been this excited about politics for years.” Then you have my 22-year-old daughter, a single parent desperate to have some hope for a better, more secure future for herself and her daughter. She’s never been interested in politics. Her eyes used to glaze over whenever it was mentioned. She sent me a text recently and it said: “I’m so excited mum! I really hope Jeremy wins!” I’m not too proud to admit this made me cry. These are just two examples of the “meddling kids” excited by Corbyn’s campaign. They are not militant Trotskyites. They are ordinary people who simply want to live in a better world. We had hope before Jeremy threw his hat in the ring, and we have even more hope now. Hope is part of the human condition. It’s the force that always propels ordinary people to fight for social justice. Hope drove the campaign for universal suffrage. Hope drove the campaign for equal rights for women. Hope drove the civil rights campaign. Hope is always at the heart of any great campaign for change, and it lies at the heart of ours. But just as hope drives positive change, fear holds it back. Those who fear change, who are fearful of what might happen if you rock the boat or tweak the nose of the Establishment will always try to undermine those who carry the flame of hope in their hearts. The important thing is to focus on the hope and turn your back on the fear. Never let the fear quench the flame of hope. Our hope will spread. It truly is contagious. I hope I will be weeping with joy on September 12, when Corbyn is declared the new leader of the Labour Party, but even if I’m not, and he doesn’t win, the flame of hope will still burn within me. Fear will never win.